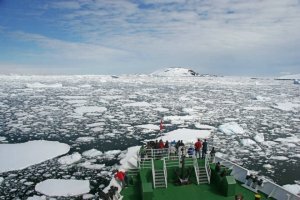 The G Expedition is a great affordable Antarctica Cruise for the intrepid traveller looking for the ultimate adventure. Nature becomes at once intimate and expansive when explored from the comfort of Antarctica Cruise vessel, the G Expedition. Built in 2009 and designed for service in sea ice and equipped with safety features specific to Antarctic travel, the G Expedition lets you clear your mind from your everyday routine as you discover some of the most untouched areas of the earth. 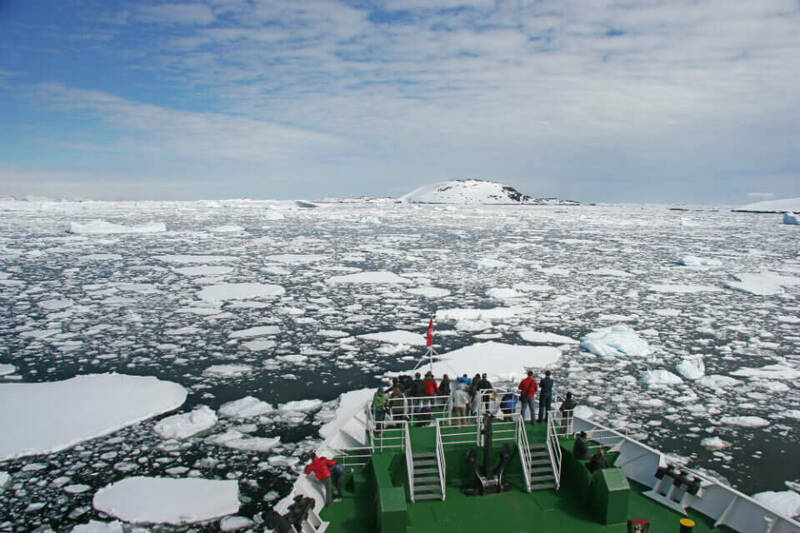 Whether you’re an experienced adventurer or a novice explorer, you’ll enjoy your Antarctica cruise on this sturdy ship that accommodates up to 134 passengers where you will have the opportunity to get to know your fellow travellers while enjoying the spacious cabin accommodation and well-appointed amenities for the expedition of a lifetime at an affordable price. The G Expedition has six decks and only three of them with accommodation. The remaining levels feature public services for you to enjoy such as the breathtaking allure of the 360-degree observation deck atop the ship that ensures that you won’t miss a single vista. The large aft deck offers barbeque facilities, and the forward-facing viewing platform gives you a first-hand view of the awe-inspiring scenery. You will start your Antarctica adventure with a pre-night in Ushuaia, from where the following day you will board your cruise for this incredible journey. In addition to comfortable cabins, the G Expedition cruise gives you a chance to learn about the wildlife and science of this area from Polar experts and mingle with your fellow expeditioners in the Discovery Lounge or the Polar Bear Pub. Each day after your excursions you will leave your wet weather gear in the heated mudroom and transition from day of adventure to a relaxing evening by cozying up in the Lonely Planet Library. On days when you’re not heading outdoors, you can work out in the gym or rejuvenate yourself in the sauna. As you’re cruising along, scope out penguins or whales from the observation deck or get a glimpse of massive glaciers from the sun deck. All G Expedition cruises come with the use of zodiacs for excursions, international cuisine and meals on board as well as a complimentary expedition parka, destination guide and free wellington boots for use during the cruise. All the cabins onboard the G Expedition have a private ensuite with views, are equipped with a desk, nightstands and armchair and furnished with a clean and modern nautical look. Category 1 and 2 cabins offer comfortable twin beds with a fold-out bunk for comfortable triple share. Category 3 cabins have two twin beds and are ideal for adventurous couples or friends. 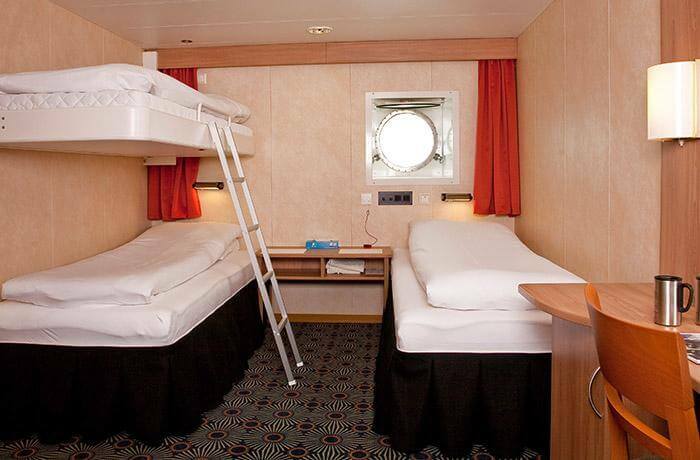 Category 4 cabins offer a more intimate feel, with two beds closer together for a double bed style stay. 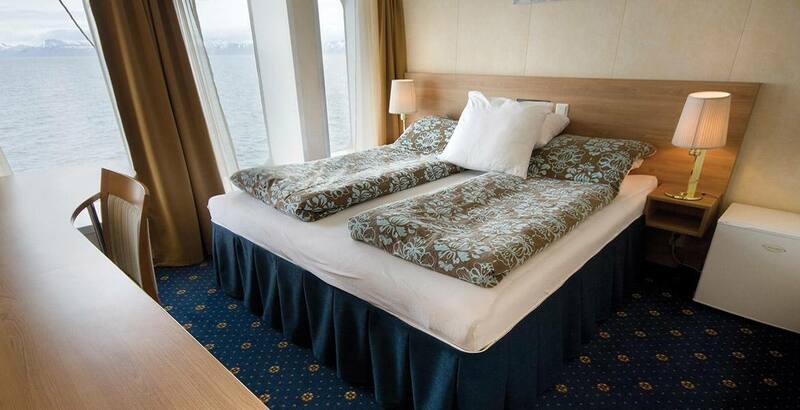 Category 5 suites boast a king-sized bed. An Antarctica Cruise without excursions is not a true expedition or worthy of the possibilities this region offers. Other excursions such as cross-country skiing or snowshoeing to explore penguin colonies from a friendly vantage point. You can even grab some equipment and go ice climbing among the glaciers and mountains as part of your G Expedition Adventure. A G Expedition experience offers different cruise and itinerary options such as the Antarctica Peninsula through their Antarctica Classic cruises, the Falkland Islands and South Georgia, the Polar and Antarctic Circle and even an all encompassing 35 day adventure combining the Falklands, Antarctica Peninsula & South Georgia as part of their Spirit of Shackleton. Click below to receive a copy of the specific G Expedition Cruise itinerary. 1 pre night in Ushuaia, zodiac excursions and landings in Antarctica, all meals onboard, lecture briefings by experts. Drinks, flights to and from Ushuaia. tipping, additional expenses such as laundry, etc. Free Expedition Parka, complimentary Expedition Guide Book, use of wellington boots (gumboots) during cruise.